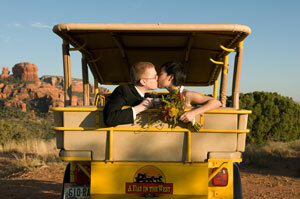 Sedona Wedding Services - Wedding planners in Sedona, catering, photography, videography, music. Our goal is to take the stress off your shoulders, and relieve you of the need to worry about the myriad details that go into planning a wedding. Let’s face it – all of us at one time or another have been to a wedding with “bad” reception food. Weddings in Sedona knows the caterers in this area well: who has exceptional quality, outstanding style and presentation, professional staff, is easy to work with, and all of the attributes that go into making the food at your wedding one of the great memories your guests will take with them. On the day of your wedding, you want to relax and enjoy some of the most important moments of your life. When you specify "day of" coordination and/or site assistance on your wedding day, our coordinators and site supervisors will be there to ensure everything goes smoothly - and to your specifications. Nothing says “wedding” like flowers do. 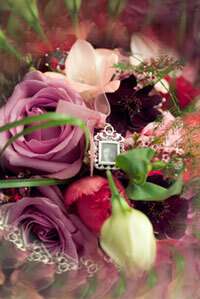 Sedona has florists to rival those in major metropolitan areas. We will work with you to create the beauty this day deserves, from a simple hand-tied bouquet of roses or daisies, to orchids and lisianthus dripping from an elaborate centerpiece. We also work with room designers that can make your ceremony and reception spaces sparkle with your personality and style. Whatever your religious affiliation, our non-denominational ministers are dedicated to creating an experience that is meaningful and memorable. Please see our page about The Wedding Ceremony for more information. 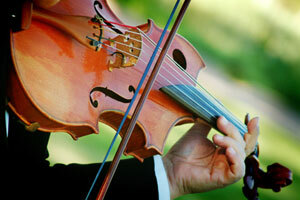 Sedona has attracted many world-class wedding musicians. Whether you wish to walk down the aisle to classical flute and harp, acoustic Spanish guitar, a string quartet, or your favorite recording, we can accommodate almost any choice. For your reception, excellent local bands cover a wide variety of styles. Our local DJs are prepared with state of the art equipment and a wide range of music selections. 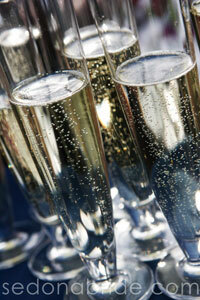 They will work with you to create the type of event you have always envisioned. Visit our Musician's Page after you've booked with Weddings in Sedona, to listen to some samples of their work. Capturing the sunset on the red rocks.... a candid moment shared by loved ones at your wedding.... Whatever style of photography you desire, from traditional to journalistic, candid and posed, we'll help you find a photographer to match. Once you have booked Weddings in Sedona as your planner, you will be given a passcode to browse samples of their work in our Photographer's Gallery. All of the special moments of your wedding day will be just the press of a button away, when captured on video. Relive the anticipation as you prepared for your day, the tender moment when your eyes first met, the humorous foibles when they "thought no one was looking," and the joy of the family gathering in celebration of this occasion. On video, your memories are there to share, forever. We'll give you a passcode to browse the Videographer's Gallery when you become one of our clients. We know Sedona and the surrounding area thoroughly, its wonderful mix of the rustic outdoors and beautiful ballrooms, of manicured lawns and magical red rock vistas. Whether informal or lavish, we will help you find the perfect location, based on your vision for your day. Take a look at our locations page to see more. From luxury stretch limousines to rugged jeep wedding tours, we can provide you with the perfect vehicles for your special day. Whether you simply need to get your guests from point A to point B, or if you want to “show up in style,” Weddings in Sedona has the connections to match your vision.